HighPower-MicroSpotMonitor-HighBrilliance - Laser Mechanisms, Inc. 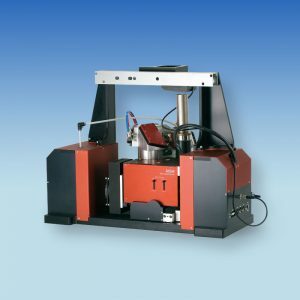 Specifically for brilliant high power lasers, expanded with a HighBrilliance option: The PRIMES HighPower-MicroSpotMonitor-HighBrilliance (HP-MSM-HB) can determine power density distributions of SM lasers up to 10 kW average power directly in the focal plane. NIR lasers with high beam quality and high average power are increasingly being employed in laser material processing. With these lasers, focal geometries in the range of 20 to several 100 micrometers can be achieved. No known material can resist the resulting power densities up to the GW/cm² range for long. At this radiation level, conventional scanning measurement techniques for analysis are ruled out. PRIMES has expanded the camera-based focus analysis system, the MicroSpotMonitor (MSM) by a HighBrilliance option specifically for finely focussed high-power lasers. The HighPower-MSM-HighBrilliance determines beam parameters of focused laser beams of multi-kilowatt lasers in the range of 20 micrometres up to a millimetre directly in the process zone – even at full power. For this purpose, 95% of the laser power is transmitted by a beam splitter through the measurement optic, and absorbed. The remaining five per cent are further attenuated in the measurement optic and destroyed by internal water-cooled absorbers. A part beam with a few milliwatts of power is imaged on the CCD sensor in an enlargement. The measurement optic was designed for beam powers up to ten kilowatt single-mode. The HighPower-MSM-HighBrilliance is also equipped with a safety circuit that can be connected with the laser and interrupts the laser emission in the event of overheating or device failure. In this way the measuring device is protected from damage. The HighPower-MSM-HighBrilliance individually measures power density distributions in the focal area of up to 50 measurement planes. The focal caustic is composed of these power distributions. From each individual distribution beam, geometries such as beam position, beam radius and half-axis lengths and also the tilt of the half-axes to the device axis according to the procedure described in standard ISO 11146 (2nd moments and 86 % power inclusion) are determined. The beam propagation parameters such as focal position, focal radius, Rayleigh length, divergence, diffraction index M² and beam parameter product are broken down from the beam geometry data. The ellipticity of the focus and the astigmatic difference are determined from the measurement data for the half-axes of the beam in accordance with ISO 11146. Additionally the beam direction error can be determined from the fibre. Along with the caustics measurements described, the HighPower-MSM-HighBrilliance also allows examinations of the temporal behaviour of the power density distribution of a particular plane to be carried out. At a temporal resolution of around 2 seconds, the behaviour of the laser in the workpiece plane can be observed, for example. The PC-based LaserDiagnosticsSoftware LDS makes it possible to measure beam distribution manually and semi-automatically and to determine the beam position and beam dimensions. Scripts control the HighPower-MSM-HighBrilliance semi-automatically, for example for repetitive measurement tasks in servicing, quality assurance and acceptance inspection. Both alternatives are individually adapted to the current measurement procedure. Advantage: Through programmed user guidance, the requirements for operating the HighPower-MSM-HighBrilliance can be significantly reduced. With a special mount for fibre optic cable, the beam geometry can be measured directly out of the fibre. Adapters for LLK-B, LLK-D, QBH and HLC 16 are available. With the option of power measurement, the beam power coupled into into the absorber can be measured directly. The LaserDiagnosticsSoftware provides the option of evaluating measurement results and monitoring thresholds.